Fox Pest Control provides pest control in Brentwood and the surrounding areas. We take pride in providing exceptional customer service, and take to heart the feedback we hear from each and every one of our customers. 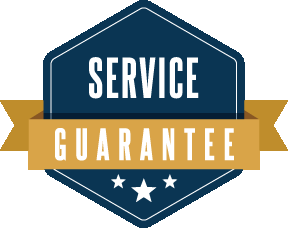 Below you’ll find our reviews, testimonials, and feedback from the home owners and businesses in Brentwood we’ve serviced. If you need a Brentwood exterminator, contact us today! The technicians were knowledgeable and did a good job. However, I believe the next visit should give them a better idea where they need to more focus on. As always, a great job. He was on time also quick and clean! Fox Pest Control was very professional and thorough in dealing with my pest issues at my home. They came multiple times, as needed, to resolve my issues with no incremental costs. I would highly recommend them. Extremely pleased with the service so far. David S. Remained very professional, even after walking into my backyard while I was cleaning up after my children and didn't hear him walk by-frightening for all involved, the voice and all. All in all, great to have a trustworthy and professional service! Very good. Employee was very friendly and helpful. I met with the fox pest control representative and he was very knowledgeable and helpful. Their service was very cheap and they had someone at my house later that same day. Great company and I highly recommend them. They provided prompt service when we called about our bee problem & the fact that we were having a house fill of guests the following day. We have not seen those bee since the service. David from the Westchester branch came out today and he did a great job which is why I was motivated to send a review. We really appreciate the extra effort he put in to ensure that he covered every inch. He was very polite. Thank you for your time and service David! The service and explanation of the work done was explained in detail. The pricing was competitive and from what I can see the work was thorough. Can't wait to be bug free.